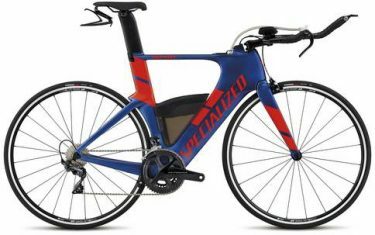 The previous Tarmac had an exceptional palmarès—a win in every Grand Tour, plus two World Championships—so you might ask yourself, “why a new Tarmac?” Well, Specialized never been one to rest on their laurels, which is why they are constantly hunting for even the smallest of improvements. In other words, we innovate or die. 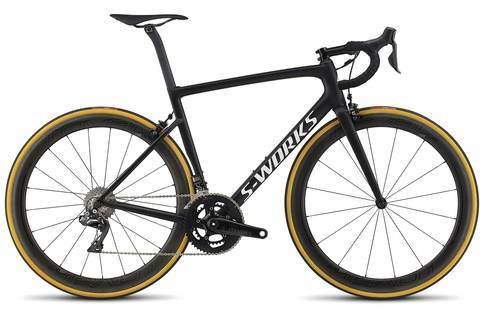 For this exact reason, the new S-Works Tarmac breaks all the traditions of race bike design to create the fastest bike for all conditions. To get the weight below 800 grams, it utilises advanced aerospace composite optimisation software to revolutionise the construction and layup of new FACT 12r carbon. It’s the most advanced material and schedule Specialized have ever made;the shape, schedule, and material optimisation allowed us to shed nearly 200 grams. 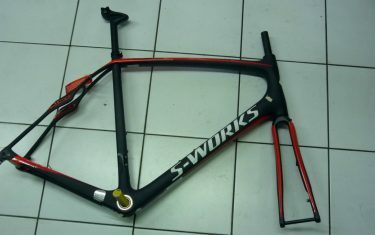 In the search to save every last gram, the S-Works Tarmac Ultralight also uses a newly developed paint finish that further reduces weight. We then further improved our Rider-First Engineered technology to ensure that the new Tarmac is stiff and compliant in exactly the right places. While stiffness aids in the aforementioned, compliance must also be utilised for an optimal ride quality. 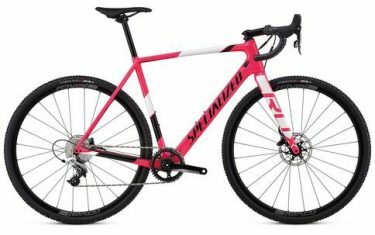 That’s why Specialized designed a seatpost that builds compliance into the upper 120mm where clamping doesn’t happen, dropped the seatstays, and altered the seat tube shape. Added tire clearance up to 30mm, which translates to a 28mm Turbo Cotton on a Roval CLX 50 wheel allows lower pressures for decreased rolling resistance, increased traction, and more comfort. Altogether, these additions still have the Tarmac riding like a true race-machine, but just takes a bit of the sting out of those road imperfections. Aerodynamics are the most important thing we can do to make you faster. Both our Bora-Hansgrohe and Team Quick-Step Floors pro tour riders, after all, are demanding aero improvements on every bike. With this, the aero goal was to discover where aero could be added for free, by not taking anything away from the hallmarks of the Tarmac design. 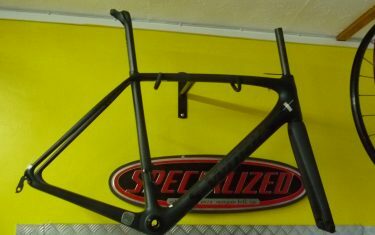 During the six-month iterative process, three areas were discovered where this could be done; a new fork shape, dropped seatstays with aero tubes, and a d-shaped seatpost and seat tube. This Tarmac comes spec’d with the ultimate lightweight package; Shimano’s new Dura-Ace 9150 Di2 groupset, eecycleworks eebrake Dual Mount direct mount brakes, and featherweight Roval CLX 32s with 26mm Turbo Cotton tyres.